GRAPEHEADS CLUB is a great way to sample each of our offerings. We ship 4 bottles, three times a year in Fall, Winter and Spring. Many of these wines are special 100 case lots bottled just for the club. Grapeheads receive many other benefits as well. The 2015 EASTON Zinfandel, Amador County has made the top 100 list! Check out all of our Zins. 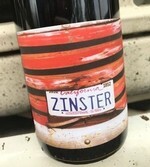 Check our all of our Zins at Super Zinster Weekend coming up!